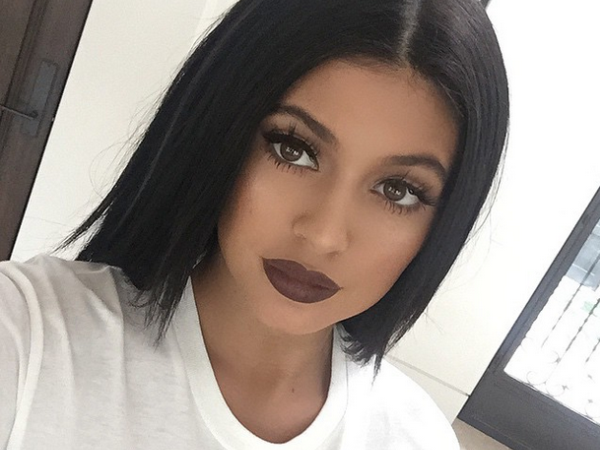 Kylie Jenner FINALLY admits the secret to her full pout! Kylie Jenner has confessed to using “temporary lip fillers” on her mouth. The 17-year-old reality star has become famous for her extremely full pout, which she previously claimed is achieved with lip liner and trickery. But in a shocking new admission, Kylie has admitted to getting cosmetic work done on her lips. “I have temporary lip fillers, it's just an insecurity of mine and it's what I wanted to do,” the teenager revealed in a forthcoming episode of her reality TV show Keeping Up with the Kardashians, which airs this Sunday. Kylie noted in the clip she chose to fib about the true origin of her plump lips due to extreme scrutiny. She finds being a celebrity incredibly tough when it comes to being honest about her insecurities. "I’m just not ready to talk to reporters about my lips yet because everyone always picks us apart,” Kylie noted in the footage. "I want to admit to the lips, but people are so quick to judge me on everything, so I might have tiptoed around the truth, but I didn't lie." Kylie, whose lips were markedly thinner in the past, first sparked rumours she may have gone under the knife last year when she showed off her new, full smackers. But the star previously claimed she used advanced makeup techniques to plump her pout. "You guys have watched me grow up since I was 9. My face is going to get different," Kylie told Cosmopolitan magazine in February. "Now, I know how to do my make up, contour and everything." In recent weeks fans have embarked on the ‘Kylie Jenner challenge’ to try and copy her look. But she recently advised against attempting to mimic her style. "I'm not here to try & encourage people/young girls to look like me or to think this is the way they should look,” Kylie tweeted.